State Department officials told The Post on Sunday that as of May 2, the US will no longer grant sanctions waivers to any country that is currently importing Iranian crude or condensate, an announcement that comes about a year after the US decided to leave the Iran nuclear deal. Three of the eight countries that received US waivers last November have already reduced their Iranian oil imports to zero: Greece, Italy and Taiwan. The other countries that will now have to cut off Iranian oil imports or be subject to US sanctions are India, China, Turkey, Japan and South Korea. China and India are currently the largest importers of Iranian oil. If they don't go along with President Donald Trump's demands, that could cause tensions in both bilateral relationships and spill over into other issues, like trade. South Korea and Japan are relatively less dependent on Iranian oil and have already been treading lightly. A Turkish official has said the country is "expecting" another waiver, but it isn't getting one. "The policy of zero Iranian imports originated with Secretary Pompeo," a senior State Department official said. "He has executed this policy in tight coordination with the president every step of the way. Because the conditions to not grant any more SREs (significant reduction exceptions) have now been met, we can now announce zero imports." Trump has said he wants the Iranian regime to return to the negotiating table and strike a better deal than the one former President Barack Obama signed. The Iranian regime has said it has no intention of doing that. Either way, the administration's ramping up of its "maximum pressure" campaign is meant to starve the regime of the cash it needs to perpetrate its malign activities around the world. 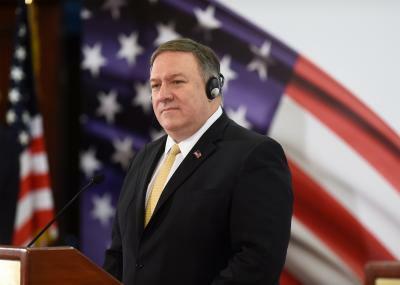 "The goal of the policy is to drive up the costs of Iran's malign behaviour and more strongly address the broad range of threats to peace and security their regime presents," the State Department official told The Post on Sunday.